2017 was a year that again revealed how the whirlwind pace of development in the LNG industry makes it impossible to stand still; developing the infrastructure to match that pace remains the key issue and challenge for the LNG sector as whole. For our part, we continue to work hard to ensure that the technology solutions are there to help the industry adapt and evolve; constantly pushing ourselves to ensure that the crucial infrastructural element – the ‘transfer zone’ – is not a barrier to progress. The runaway story of the year has been the evolution of the market for LNG. New projects are cropping up across the world, and as chronicled in LNG Industry, this new source of power and transport energy is well on its way to realising its global potential as a lower-carbon, cleaner alternative to traditional fossil fuels. Buoyed by advanced and emerging technologies that have led to the reduction in cost of production of floating storage and regasification units, as compared to landfill storage units, offshore and off port projects are emerging swiftly. 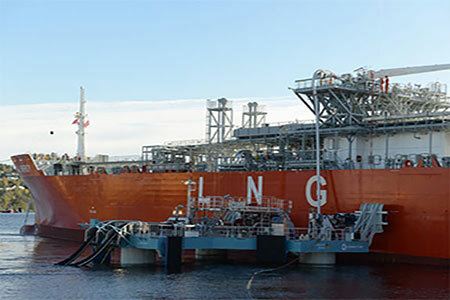 The first floating LNG production has started off Malaysia, and the arctic Yamal LNG project is producing its first gas. LNG import hubs are evolving quickly, the latest being the Tornio Manga project in Finland, which is receiving fuel that will power homes all over Scandinavia. Demand in China is booming, while Ghana is set to become Africa’s first LNG importer. 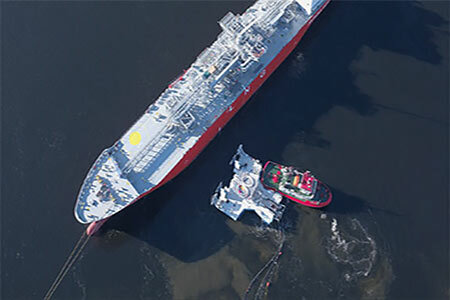 LNG as a marine fuel is emerging as a strong choice for an industry confronted with the upcoming 2020 sulfur cap, the expansion of Emission Control Areas, and growing pressure to decarbonise. One of the most dramatic announcements this year was from CMA-CGM, who announced the order of nine newbuild container ships, to be powered by LNG – for which Total has entered into a deal to supply fuel until 2030. Meeting the increased demand for LNG as a marine fuel, a new fleet of dedicated bunker supply vessels has emerged. With availability of gas no issue, the industry has come to acknowledge that infrastructure development is the key to supporting this growth, whether for offshore, off port, in port or land-based storage, liquefaction or regasification. This has prompted a re-thinking in the way that LNG is transferred. Cryoline technology enables safe, efficient transfer regardless of location or vessel size, even in extreme conditions. This reduces the amount of infrastructure required and the cost of setting up a new project. The technology formed the basis of Trelleborg’s involvement in the first sea launch Universal Transfer System (UTS) in 2017 in Norway – developed with Connect LNG and Gas Natural Fenosa – in what is sure to be the first of several innovative applications of Cryoline. This demonstrated a system that would bring bunkering infrastructure to a vessel using a floating platform, connected to the shore by flexible, floating hoses. 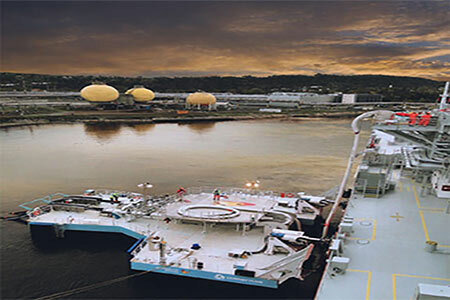 It showed how flexible floating hose technology can underpin new solutions that could easily be used to upgrade existing ports, or establish new bunkering facilities with lower start-up costs than heavier infrastructure would require. We have an exciting year ahead. Not only is 2018 likely to see a record addition of 62 LNG carriers to the fleet; 40 million tpy of new LNG regasification capacity is set to come onstream this year and in early 2019, over 55% of which is likely to be provided by FSRU-based terminals – putting the spotlight on suppliers to develop safe, cost-effective offshore transfer infrastructure. We look forward to supporting the growing market for safe LNG transfer and helping develop the game-changing infrastructure that will accelerate the industry’s growth.